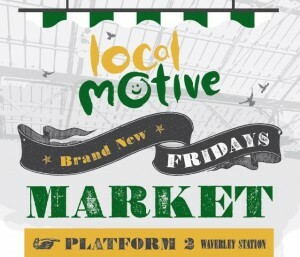 So I can finally reveal that one of the other projects we have been working on is providing the new Platform 2 market with a very special music element the fourth Friday of every month starting on June 27th. Approximately a third of the entire market will be curated by Avalanche and we will be inviting all our fellow record and music shops to get involved. It is a fantastic location and of course fully covered so no worries about the weather. Logistics permitting there will also be an opportunity to have bands playing. In August of course it will be Festival time and there will be more of a record fair feel to our curation but again we’ll be looking to make this an experience for all the family and not just serious vinyl junkies. Expect some very special guests ! While vinyl will play its part each month we won’t forget the many people who still prefer CDs and most of all there will also be the fantastic selection of posters that Avalanche is so famous for. In keeping with the rest of the market with its unique crafts from local designers and Scottish produce and hot food all local and Scottish bands and labels will be welcome to have their wares on sale via one of the stalls involved. There is huge potential with this new market to reach new people both in those who commute locally and of course the many visitors that pass through the station. Obviously there were lots of ideas as to what could be done with the weekly curated space and I’m extremely pleased to have secured one of those slots for Avalanche and the wider music community. Much more to come ! What other local shops are involved? We have invited all the other new shops Coda, Underground Solu’shn and Vox Box who may take part in future events except Vox Box who felt the station wasn’t a suitable environment for a market. The one in August will have more of a record fair feel and others will be invited to take part in that.